All casinos have slots, and most players can recognize them as being basic games with themes, like “Ghostbusters” or “Wheel of Fortune,” and other older machines. The problem is that these appeal to an older crowd, while the younger players prefer table games. The problem is that young people do not find these games as entertaining, as technology has advanced as to give them more immersive games right on their mobile phones. This is why many companies have taken a step back and figured out new ways and methods to creating the themes that will certainly attract the younger audience. The interest in playing these machines has been in a steady decline over the past 10 years, and casinos are starting to feel the pressure, as they are one of their biggest money-makers. This is why they are looking closely at the games and apps that anyone can download onto their mobile phone. These new themes will have a different look, have more social settings, more interactive games, as well as social games where players would actually play against others. 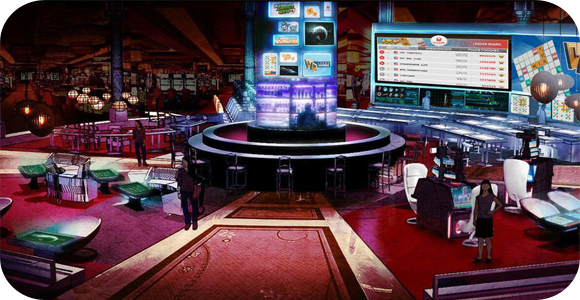 Eric Meyerhofer, the CEO of Gamblit Gaming, said he envisions a “modern-day arcade for adults in a casino,” where there could be giant leaderboards on the casino floors. This will change the future of slots, as casinos will try to monetize arcade themed style games. This will certainly bring in younger players, who demand a more complex form of betting, rather than randomized spinning reels. Can’t wait to see the first game get developed.